Cornelius & Anthony Señor Esugars Robusto – tasting notes. Paul 89 – Darker brown, rough, dry wrapper, medium veins, very soft the entire stick, light tobacco aroma on the wrapper, good draw. First 1/3: malt, oats, lots of smoke, medium gray ash, tart, dryness in the mouth, some bitter, sour, and berry notes that quickly fade. Second 1/3: Medium strength, body and finish, flakey ash, good burn line, leather dominates, slight burn on the retrohale. Last 1/3: medium plus strength, no flavor changes, ends with sharp tart notes. A good solid smoke. Rob 85 – A beautiful cigar!! 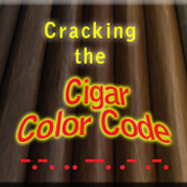 A velvety soft maduro brown wrapper encases this stick. There is a multiple cap, which unfortunately I cut prior to examining, so I don’t know how many there are. It is very firm with tight completely invisible seams and no veins. It yields an average weight has is providing a perfect draw. This is a good start. Light up is providing a charred tobacco flavor. It is not bad, but still prominent. 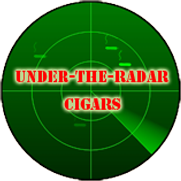 As the cigar heated up, the flavor of charred tobacco is remaining….. As I approach the “sweet spot” I am finding that the smoke has turned mellow and very smooth. I am getting a bready and toasty flavor. At the 1/2 point, I am getting a fairly straight burn, so no problems at all with construction; I’d rate it well above average. As I near the end of the smoke, the bready/toasty flavor has gone back to the charred tobacco, which I find rather disappointing. Jim 93 – Another maduro with some strong barnyard scent especially from the foot of this cigar. Once I light this stick, I’m initially getting some smooth caramel and much lighter strength than expected after my visual inspection. As it heats up I’m getting some deeper flavors of unsweetened cocoa, leather and dull spice of nutmeg. The strength of this cigar is growing. Burn is very jagged and going uneven but then somehow it evened out on its own. The ash is actually fraying and almost looks like a pinecone. A flavor shift is happening 1/3 of the way into this cigar. Now I am getting more of that traditional maduro flavors of deep chocolate and espresso. Flavors are well balanced and I’m really enjoying this cigar. Going into the last third and the strength is growing but flavors still good! This is a real nice cigar and has been a enjoyable experience! I am giving it a wow point for staying good all the way down to the nub! Artie 85 – The third cigar in Round 14 is a robusto of mottled dark brown color, with a wrapper that feels like fine sandpaper. Some stems are visible, but the stick looks to be well-rolled. The cap is solid, and cuts well with a guillotine cutter. At first light I am intrigued by earthy root beer notes. About an inch in, the burn starts to get wonky, and a correction is needed. At this point, the root beer has given way to a somewhat unpleasant bitterness. Mid way, the flavors get muddled and notes of day-old coffee take hold. Continuing toward the nub, the bitterness has started to dominate, and continuing is not worth the time. My palate is starting to get blown out. Good start, but a disappointing finish. Will 85 – 5 x 52 robusto with a toothy maduro wrapper, sloppy cap and very densely packed, cold nose was damp earth and red pepper, one sneeze. Cold draw was mushroomy pepper. Upon ignition, lots of smoke and an initial raisin sweetness with a wet cardboard finish. About 5 minutes in I was getting a meatier mushroom and gravy umami which coated my mouth and tongue. At the 10 minute mark I began to get a heavy chocolate maltiness and the long gravy finish continued, very savory and meaty. I had burn issues though, the stick had trouble staying lit. Not box worthy at all, and a solid medium. Not bad but not good.